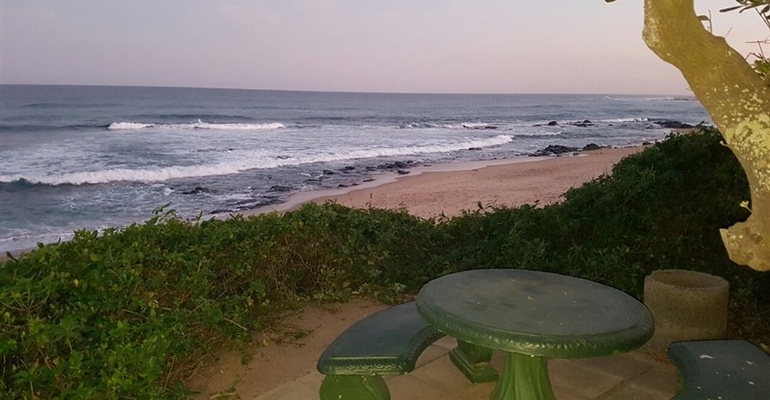 Shelly Strand 4 is a lovely 2 bedroom, 1 bathroom, self catering apartment that can sleep a total of 6 guests. The apartment is set in the Shelly Strand complex and has direct access to the beach. The apartment comprises of a fully equipped kitchen with an open plan dining room and lounge with a TV with a full DSTV bouquet. There is a private garden leading from the lounge with Built-in Braai facilities. The complex is very safe and secure with undercover parking for 1 vehicle and onsite security and electric gates for your peace of mind. There is a number of entertainment in close proximity of the complex such a Shelly Beach and South Coast Mall with as variety of shops, restaurants and a cinema, as well as shelly beach ski boat club for the keen diver, fisherman or adventure boater.